Won’t You #AMMConnect With Me? About ten years ago, I wrote my first YA novel. It was dumb. The main character was this kid named Miles who wrote a fantasy story about a vampire named Raphael Vedemicci that rode a dragon named Sylph. The kid’s actual real life sucked, so he made awesome things happen in his story to compensate for the disappointment. I called it “The Vampire Diary.” I was deeply, inconsolably upset when “The Vampire Diaries” became an actual show on TV like a year later, but I don’t know why. My book was a G-Darned disaster. I’m embarrassed to have said so much about it here, frankly. Readers deserve better. Knowing how bad that first book was, I shamed myself into stopping fiction writing for years. And years and years. I’m an English teacher, so I buried my nose in grading papers and lesson planning and The Great Gatsby. 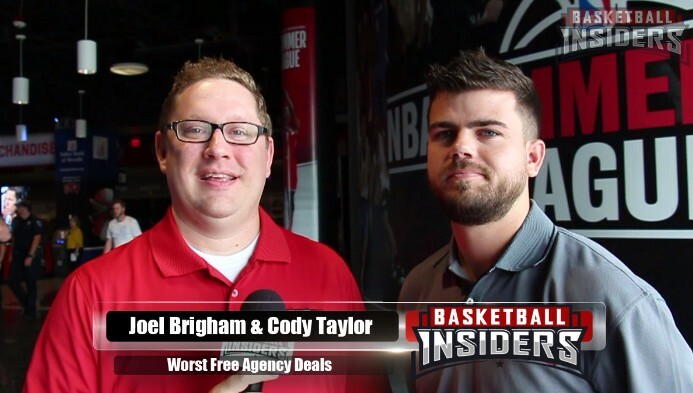 I also tripped and fell into an opportunity covering the NBA for a website called HOOPSWORLD (later Basketball Insiders), so I poured my heart and soul into that for the better part of 12 years. Fun fact: I used to be fat! Somewhere along the line, I also discovered the great heaps of supplemental income I could make writing SEO blogs for small businesses, so I spent more of my precious daily writing time doing paid freelance work. Throw in all the work that goes along with my master’s degree in Teaching & Learning, and my life started looking like one of those glasses filled with so much water the liquid rises above the rim with overflowing surface tension. I wasn’t even thinking about writing fiction. That changed when I attended the National Conference for Teachers of English in the fall of 2017. There’s a marketplace there where publishers give away ARCs and authors sign books, and I was given the opportunity to meet some truly amazing writers. Lois Lowry signed a copy of “The Giver” for me despite having tripped and fallen the night before, leaving her face bruised. 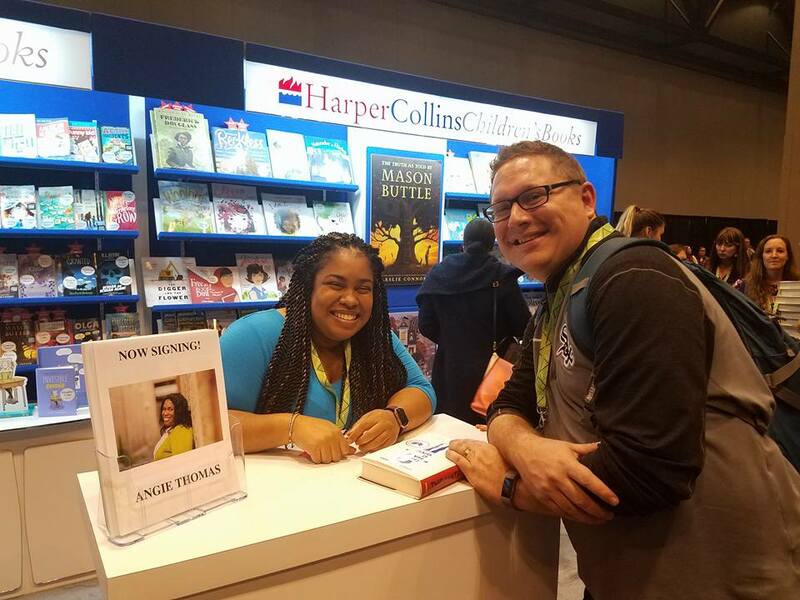 Angie Thomas, deliriously happy over the success of “The Hate U Give,” signed a copy of her book for me, too, so happy to visit with the educators who had been enthusiastically recommending the novel to every teen they came across. We’re basically best friends now. There were so many others. Katherine Applegate. Laurie Halse Anderson. David Levithan. It was overwhelming. I walked away from that conference with two huge totes full of free YA books for my classroom library and a fire in my belly to be the person on the other side of those autograph tables. I don’t care about fame or money. That’s not what I mean. What I want more than anything is to know that high schoolers are reading my books and learning and feeling and discovering important ideas while they do. I want to have conversations with other teachers about the literary value of what I write. I want to reach young people outside of my tiny, rural school district. When I got home from that conference, I could feel the stories dammed up in my soul, pressing on my chest to get out. 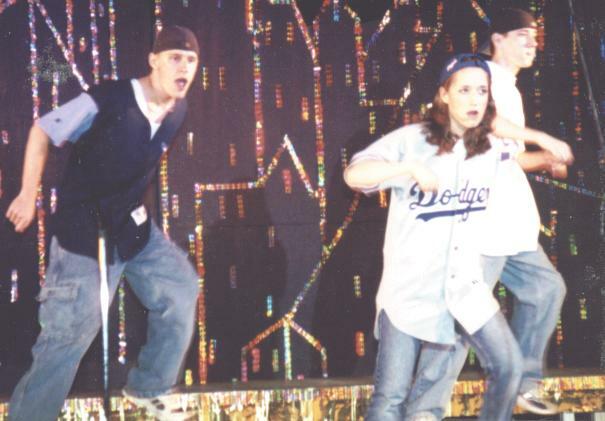 I chewed on the idea of writing a semi-autobiographical novel about a couple of teenage rappers in a predominantly white farm school district in the late ’90s, and that spiraled into the concept for a book I wrote early last year. When I got toward the end of the book, writing the climactic penultimate chapter at 1:00 in the morning, I cried. It was weird. My body convulsed and shook while I laughed and tears poured down my face in streams. Maybe I was proud of myself for finishing the book. Maybe I was proud of my characters for doing the thing they wanted so badly to do throughout the book. Maybe I saw a piece of the 17-year-old version of myself in those characters, and their catharsis was a DeLorean trip back to 1999, fixing parts of my past I guess I didn’t realize needed fixing. Either way, I came to realize through denials for Pitch Wars and AMM Round 5 that the concept wasn’t an easy one to sell. Despite being based mostly on a real-life friendship from high school, it read like a story that wasn’t mine to tell. I only queried a couple of agents when it was finished, but I understood what they were saying. It felt great to finish a book, to prove to myself that I could do it, but there wasn’t much else I could really do with the manuscript than file it away as a practice run. I’m proud of it, but it’s not the best I can do. 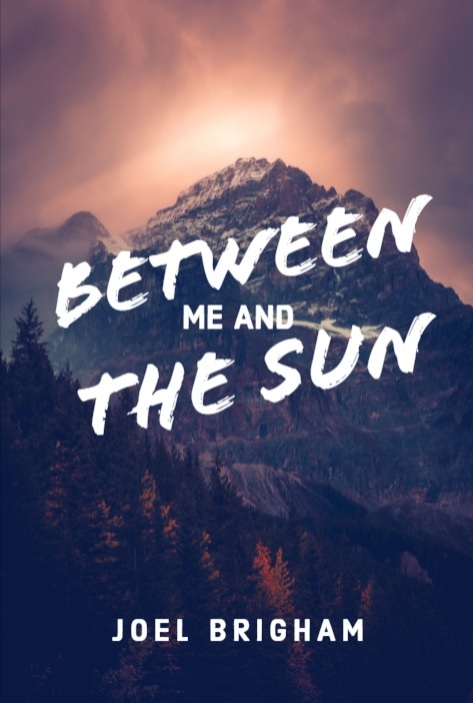 My new book, which I’m calling “Between Me and the Sun,” feels like a better representation of what I can do and who I want to be as an author. It’s about a low-income high schooler in rural Illinois who gets offered $150,000 by an old woman in a nursing home who needs help getting back home to her ranch in Colorado. The catch is that the money comes in the form of gold bars she and her late husband buried in the wilderness three decades ago, and there are many dangerous and illegal things standing between the protagonist and the money. I made a cover for it. It’s pretty. I’m to the point where my book is about as done as I can make it without paying more than I can afford for a professional editor. That’s where I hope AMM can help. If nothing else, I’m always looking for critique partners interested in writing YA contemporary. I’ve come a long way from “The Vampire Diary.” I’ve learned so much about craft. I’ve read so many books by so many amazing YA authors. I’ve gotten to know so many great high school kids. I’m ready, and AMM can help me clear the hurdles I’m unable to clear on my own. No more disasters. It’s time to prove I can be a G-Darned success. This post really touched my heart. I am grateful to read about your writing journey! And wow!!! You got to meet some amazing writers at that conference!! Also uh… that second book that you tried to get into round 5 sounds very interesting, maybe you just need to take a break from it and get fresh suggestions… And the most recent one for round 6 sounds like a fun adventure. Good luck!! Your story sounds really intriguing. I hope I get to read it someday soon. 🙂 Also, it’s always fun to meet a fellow YA writer! Woot!